Despite warming relations with Moscow, Ulaanbaatar will maintain its ‘Third Neighbour Policy’. 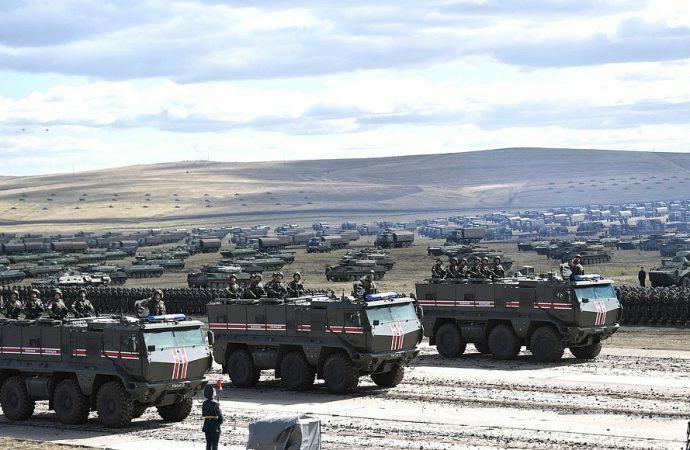 Mongolia’s decision to participate in the Russian military exercise Vostok-18 reflects the continuation of its ‘Third Neighbour Policy’ rather than the development of a political-military alliance. On September 11-17, Mongolia and China joined Russia for the first time in the Kremlin’s war game, Vostok-18, which is held once every four years. Russian Defense Minister Sergey Shoigu claimed the war game was the largest drill since the Cold War; it reportedly included over 300,000 Russian military personnel, about one-third of Russia’s entire military force. While the final number of troops involved was likely much smaller, Russia’s presence still dwarfed Ulaanbaatar’s participation, although no exact figure for Mongolian forces has been given. The war game has been particularly suggestive. 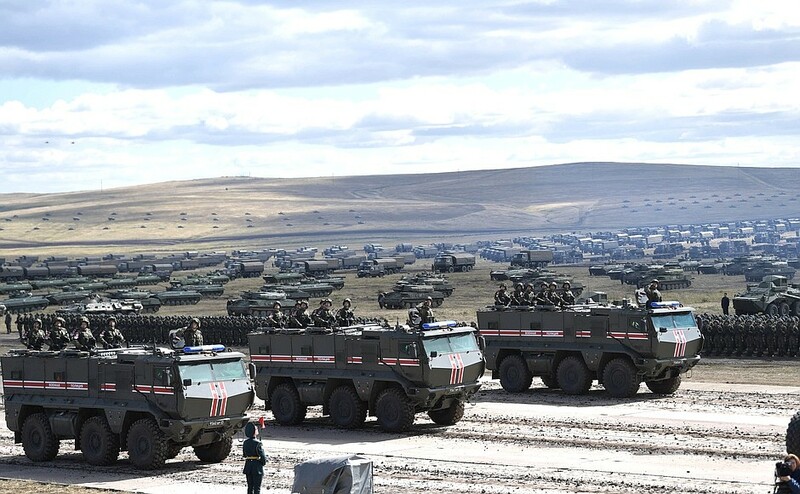 Vostok exercises are not a typical joint military drill in which Russia and the participant countries (in this case, Mongolia and China) share a common military objective. Rather, Vostok exercises are held for the purpose of advancing Russia’s own military operations — an honour commonly reserved for close partners such as Belarus in Zapad-17. This reveals the high level of strategic relationship between Moscow, Beijing, and Ulaanbaatar, which has led to speculation of a gradual military entente in the making. Despite the speculation, Mongolia’s decision to participate in Vostok-18 does not signal the development of a political-military alliance. Rather, it reflects the continuation of its ‘Third Neighbour Policy’ since the 1990s: actively engaging and manoeuvring between Russia, China and the ‘third neighbours’ in order to assert distance from the two encircling great powers and maintain strategic autonomy. The ‘third neighbours’ are a collective entity which consists of the EU, India, Japan, South Korea, the US and other countries and international organisations. This foreign policy has not been officially spelled out by successive Mongolian administrations, but has been explored and “continually redefined or reprioritized over the years,” Alicia Campi from Johns Hopkins SAIS notes. However, Ulaanbaatar has recently come to align strategically closer with Moscow. This is partly due to the economic opportunities offered by Russia as a result of Moscow’s international isolation and sanctions by the West. The shift also comes at a time of domestic instability. Mongolia’s economy has been in steep decline since 2011, and Mongolia’s growing economic dependence on Beijing has come at the expense of Mongolia’s relationship with Russia and contributed to the rise of anti-Chinese nationalism. The government thus seeks to revitalise its strategic partnership with the Kremlin to resuscitate its economy and rebalance against the growing Sino-Mongolian economic asymmetry. The pivot to Russia does not mean a halt to Sino-Mongolian relations. Mongolia continues to advance its relationship with China, which has been elevated to a ‘comprehensive strategic partnership’ in 2015. But Ulaanbaatar will give greater priority to Russia and other countries to diversify its political economy. Hence, Mongolia’s limited participation in Vostok-18 constitutes a form of military diplomacy to induce greater cooperation with Russia in other non-military areas as part of its wider foreign policy agenda. This is not uncommon in Mongolia’s diplomatic practice. Mongolia has courted closer ties with the US by contributing to American counterterrorism efforts in the past. 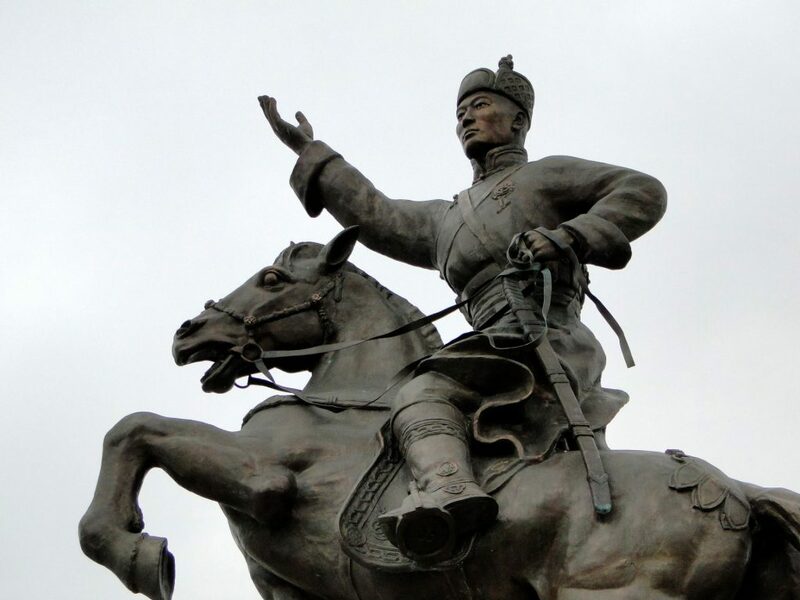 Similarly, Ulaanbaatar’s armed forces have recently participated in Moscow’s seventieth-anniversary victory parade and Beijing’s parade of victory on Liberation War — symbolic gestures highlighting warm Russo-Mongolian and Sino-Mongolian relations. As for the Vostok-18, the exercise seems to have progressed smoothly. Indeed, Russian President Vladimir Putin expressed satisfaction about Russia’s growing strategic relationship with Mongolia during the Eastern Economic Forum, which coincided with the events of Vostok-18. The irony is that Mongolia’s limited participation in Vostok-18 has taken place in the context of Battulga as the president. With an established pro-Russian position, it is understandable that he would court closer ties with Putin. But Battulga campaigned in the 2016 election under the promise of ‘Mongolia first’, and Peter Pomerantsev from the London School of Economics notes that for Mongolia “to be truly independent he will have to diversify the country’s economy while playing off China, Russia and” the West. The Vostok-18 participation is therefore not a simple pro-Russian move; Battulga understands the significance of China to the Mongolian economy and is attempting to tread carefully by diversifying the economy in ways that do not elicit Beijing’s displeasure. Battulga will likely be wary about provoking China, which has demonstrated a willingness to apply targeted sanctions on smaller neighbours that challenges its political interests, regardless of their strong economic relationships. South Korea experienced such sanctions over Seoul’s decision to allow the US to deploy the Terminal High Altitude Area Defence in 2017; the sanctions cost the South Korean economy billions of dollars in lost exports. The punitive action occurred despite South Korea being one of China’s top import destinations. Chinese leaders have also been willing to impose sanctions on Mongolia, following the Dalai Lama’s visit in 2016. 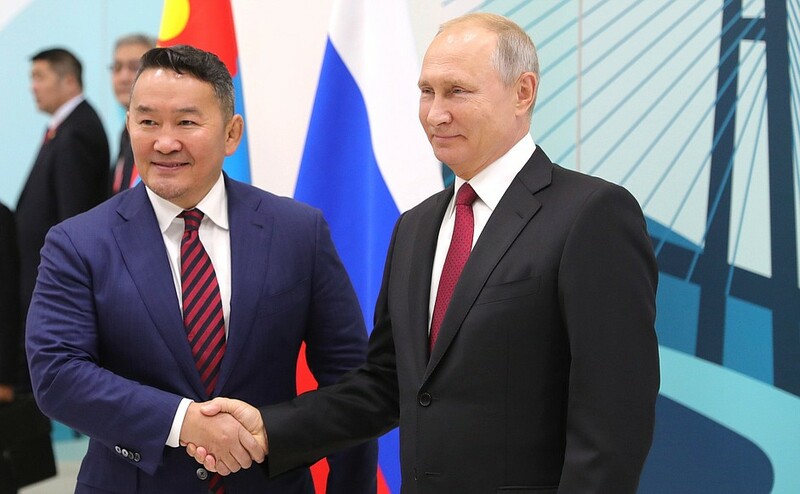 While the nature of such political sensitivities differ from how China views improving Russo-Mongolian ties, Beijing has competing interests with the Kremlin over geo-economic projects that involve Ulaanbaatar, such as the Egiin Gol Hydro Power Plant. Therefore, Beijing would caution against any move from Ulaanbaatar that could compromise its interests. Given China’s own participation in the military exercise, Mongolia’s military diplomacy is unlikely to irritate the Chinese leadership. Furthermore, given the recent Sino-Russian rapprochement to integrate the Eurasian Economic Union and the Belt and Road Initiative, Battulga has not abandoned the trilateral approach and is instead pushing for Mongolia’s role as a crucial economic transit in the major regional infrastructure development. Nevertheless, the landlocked country will move cautiously as it rebalances ties between its two giant neighbours.